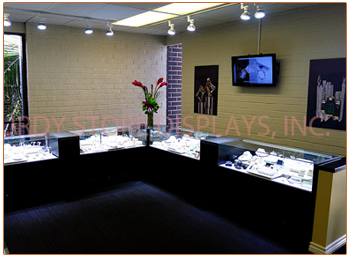 The glass bonded showcases in this high end jewelry store agree with their luxurious contents. These are Bold showcases with a spectacular customization, namely thicker side walls. Want to view a larger image? Click here. Please contact us for more details about this or other products.